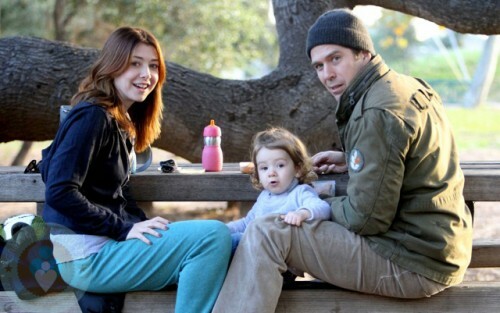 Home » Alyson Hannigan Picnics With Her Family! Alyson Hannigan was spotted having a family picnic with husband Alexis Denisof and their daughter Satyana at a park in LA yesterday. The Denisofs are one of my favorite Hollywood families. They are always pictured spending quality time together, enjoying every moment.